All me men stood on the deck as I had many of me charts open. There were going to be a lot of voyages in the coming season and me mates needed to be up to speed with that. First mate : Those are a lot of marks. Are we visiting all these places mate? Engineer : Well loves, the ship is working well and can take all those voyages without a scratch. Quartermaster : Aye, I will whip the lads up in shape. These voyages will be some of our best. Cook : Can I be out of the brig please? I need fresh air. Captain : Well have as much as ye want now lad. You are staying there for the disaster you cooked last night. With our short meet over. It was time to sail to our first mark. Panayaa. What awaited for us over there? Lavish food perhaps. Who knows? Panayaa initially sounded like Panache to me. I know that there is no relation between the two but it just sounded like that. However Panayaa(meaning Lavish in Sanskrit) offered an experience that would very well justify both words. Panayaa is a fat Indian wedding of vegetarian Indian food and elements of Molecular gastronomy(No offense Heston B). Panayaa is a warm looking family diner. 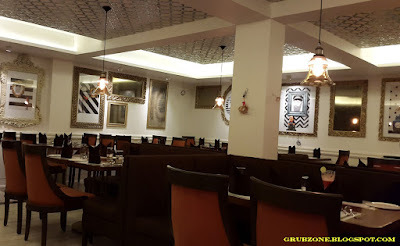 The decor feels like a mix of old Rajasthani palaces and modern vibes. The golden lighting seems like a running theme from the people who brought you Firki. 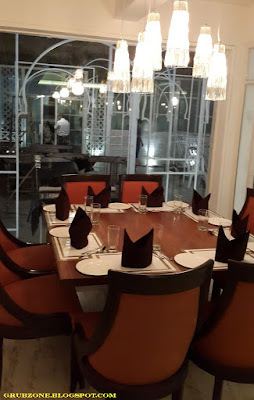 It was a comforting ambiance and since the restaurant is still in the process of rolling out, this is just one of the seating areas. There is another area outside the doors and a roof top zone as well. If you are not an Indian then this experience would be quite a journey and if you are Indian - experience a deconstruction of old favorites and reassembled into avatars never known before. In either case, an experience unlike none other awaits the hungry patron. 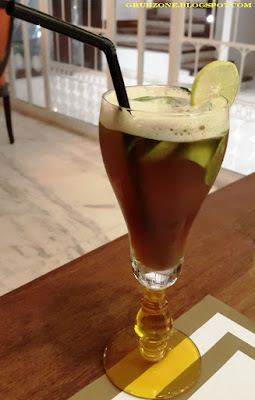 This was a Thai Cooler(Virgin Kaprioska) made out of Kaffir lime, pineapple and lemon. The Kaffir lime dominated the flavor completely overwhelming my olfactory and gustatory senses. The pineapple existed as an after taste offering a sweet tangy twist to the story. Far better than the same old sherbets and Ice teas. This one actually felt refreshingly addicting for a change. 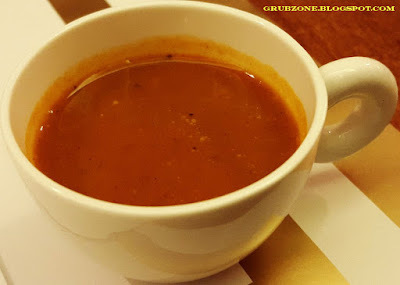 The Pav Bhaji minestrone soup in a short sized cup acted as an amuse gueule. This was a tasty little teaser which was more on the buttery Pav bhaji side than minestrone. The thing was quite salty, savory and addicting with everyone on the table going for seconds or thirds. However due to its thin consistency, I wouldn't quite call it minestrone. Grilled Mushroom Salad was a simple looking construction. Sadly the cold mushrooms did not work well and the taste was primarily dominated by the creamy mayo dressing. The Tofu Vadai were shaped more like poppers or croquettes and I suppose those words would add more appeal to modernist cooking. 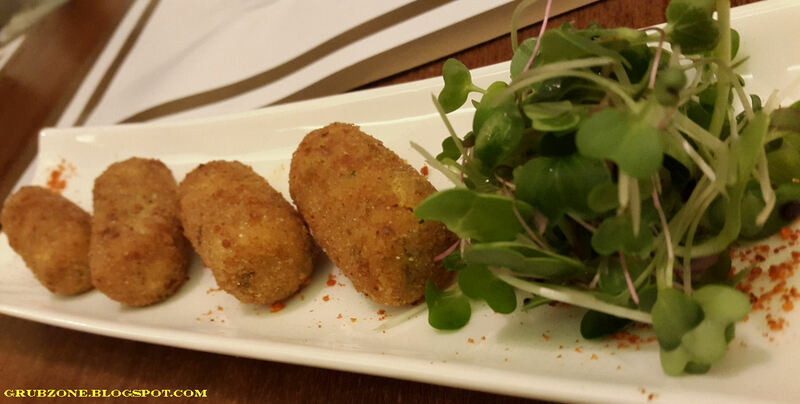 These little morsels were full of creamy, silk like Tofu and were infused with Kaffir lime, coriander and mild spices. The flavor was quite amazing. 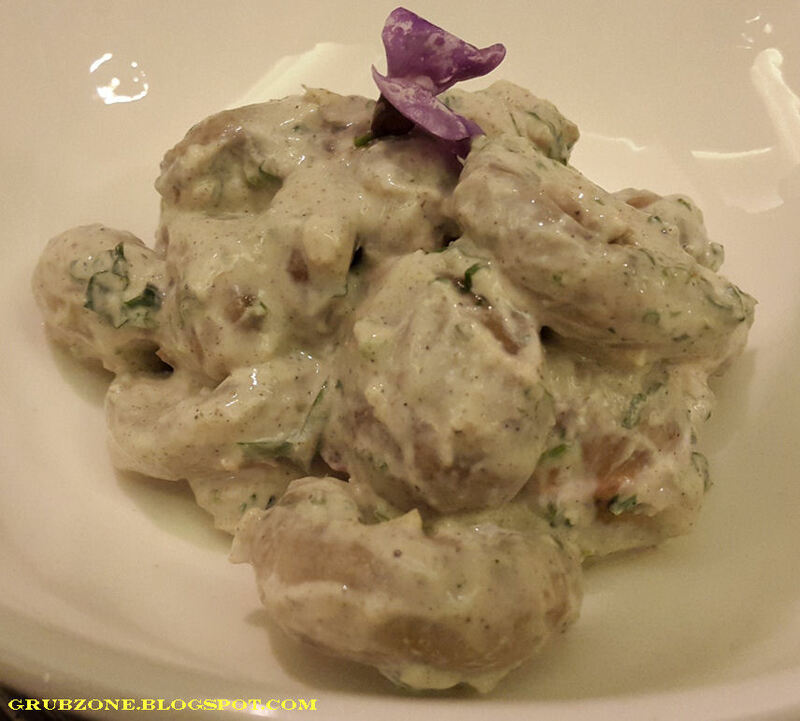 Chef Naved took bland ol' Tofu and made something delectable out of it. Best Tofu ever. 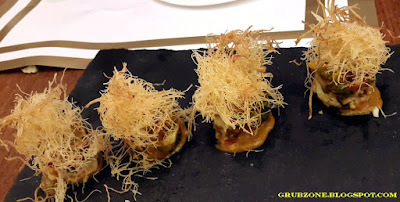 Emarti Tori - Literally meaning skyscrapers, these towers of grub were made of paneer, zucchini and potato. Crowned with Kataifi pastry and flavored with chutney, this felt like something straight out of a Masterchef invention test. The only flaws to this were stray incidents of high ginger puree on the pastry. 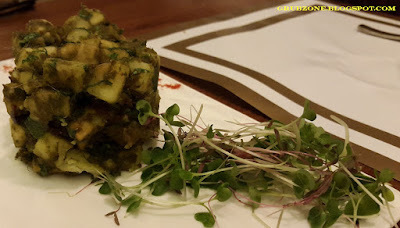 Dhokla Oxide was served with a cold bang as liquid Nitrogen was poured into it. This part seemed like unnecessary theatrics since all it did was make the surface unwantingly crispy. 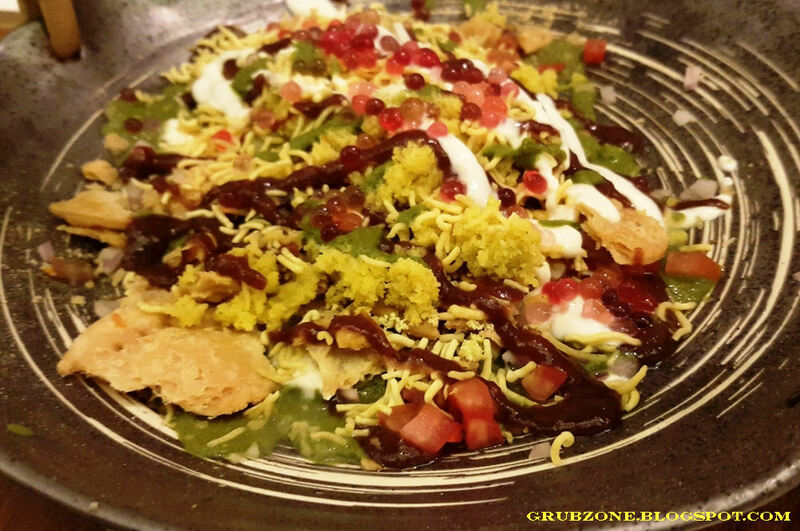 This dish was a disappointment since it tasted more like a chaat with a few small traces of Dhokla. And I did not honestly find it very visibly pleasing. 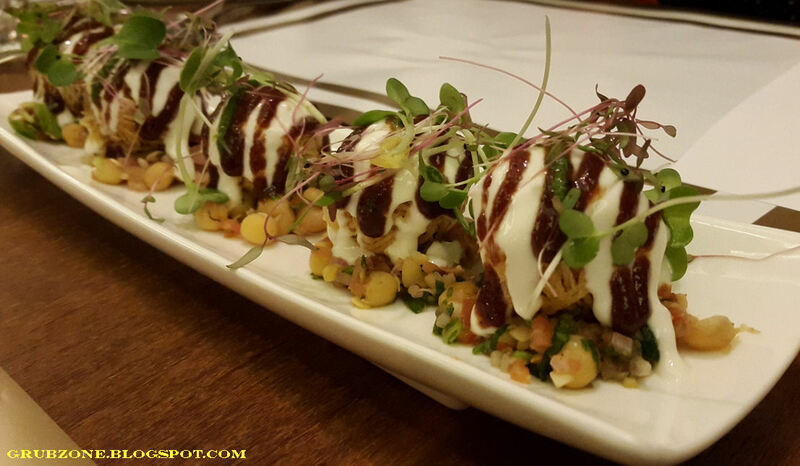 Potato Spear Chaat with Ragda felt very much like a mix of two of Mumbai's favorite street foods - The Dahi vada and Ragda chaat. This dish appeals to those with a palate for "chatpata" flavor. 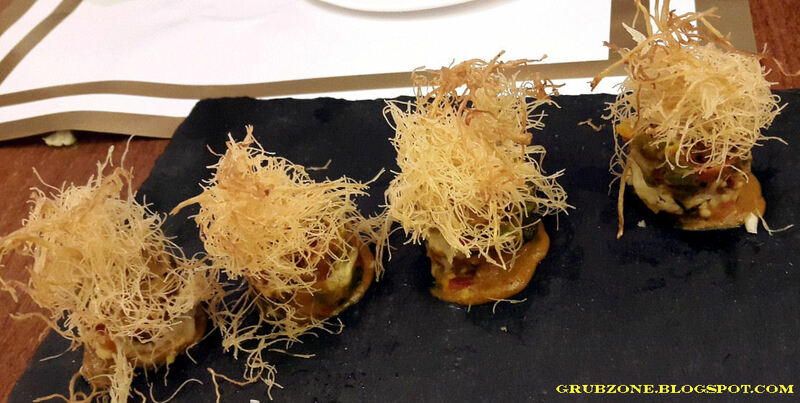 These dollops of goodness were made out of Golden crispy potato noodles mixed with chutney. The flavors were tangy, sweet and mildly spicy. The Dahi Vada effect comes from the curd. De Constructed Dahi Vada was an ambush waiting to happen inside my mouth. 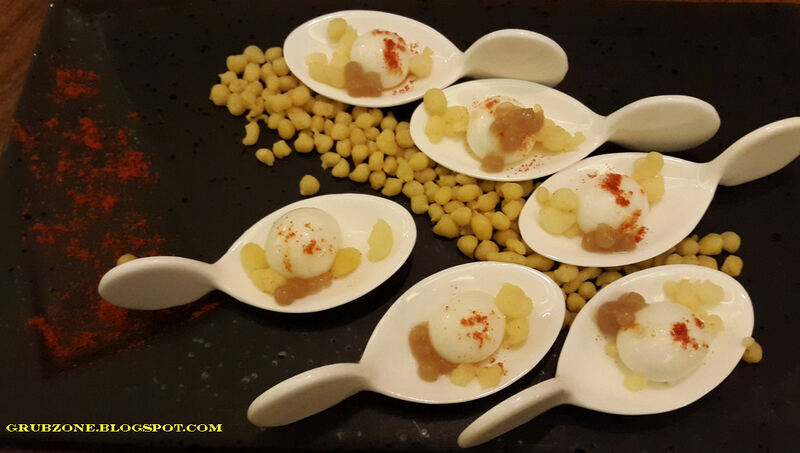 These spheres were made of curd using sodium alginate and principles of molecular gastronomy. Unlike the regular Dahi vada which has dumplings in the curd, these vadas are made entirely of curd. And they pop inside your mouth when you least expect it. 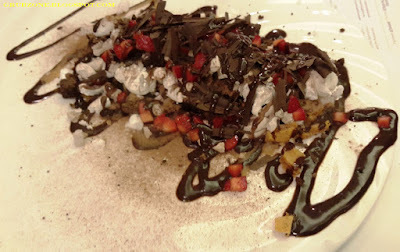 It was plated very well and mixed with faux caviar made out of Tamarind chutney. Shakargandi Chaat did not look as aesthetically pleasing as some other things on the menu but its flavor worked well. This was made out of sweet potatoes cooked using the sous vide technique. The flavor was thus perfect and even. Thecha Sabji was a dish of fine flavors. It was made in a buttery curry mixed with minced vegetables and delectable aromatic spices. Looking at its enticing visuals, having wisps of aroma in my nostrils and then tasting it was a divine experience. I enjoyed this the most among the mains. Though it should be noted that this is a marked departure from the original version of Thecha. The original has a greenish color and is spicy. Captain : I just had a thecha vu. Crewmate : That you had used this bad pun before? Captain : That I was thech-aing you how to clean the decks. 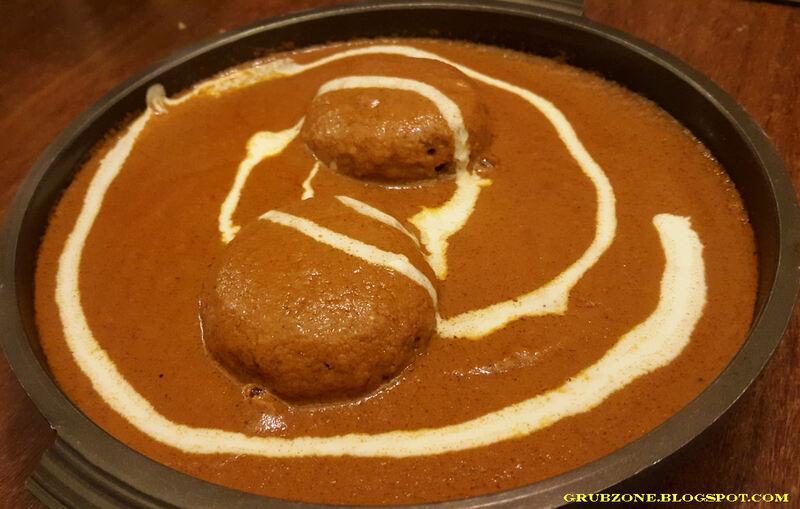 Amritsari Kofta was a dish of soft dumplings made of minced greens and cottage cheese. While the dish was supposed to be cooked in a spicy gravy, I found it to be a tad bit mild. 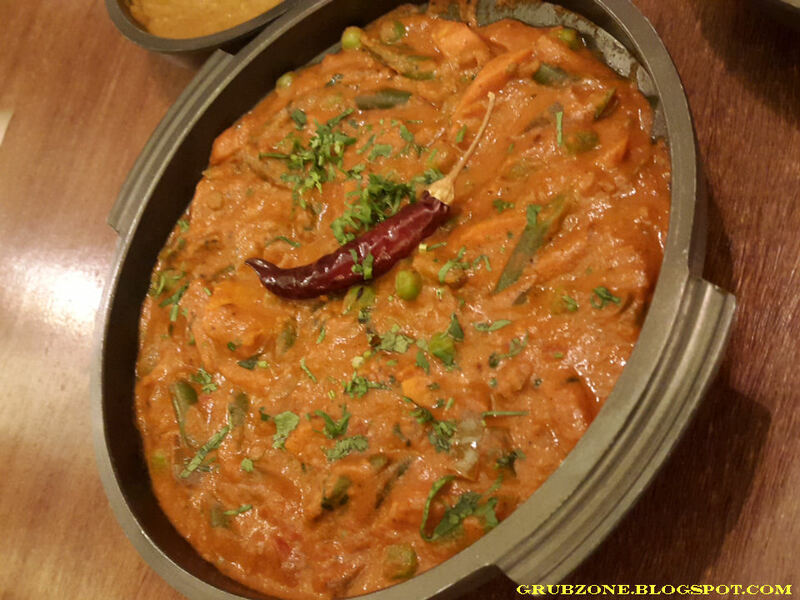 It was lacking the spiciness present in the originally Amritsari preparation. Dal Makhani was acceptable but was very average. I have definitely had better. The consistency for starters should have a bit thicker. 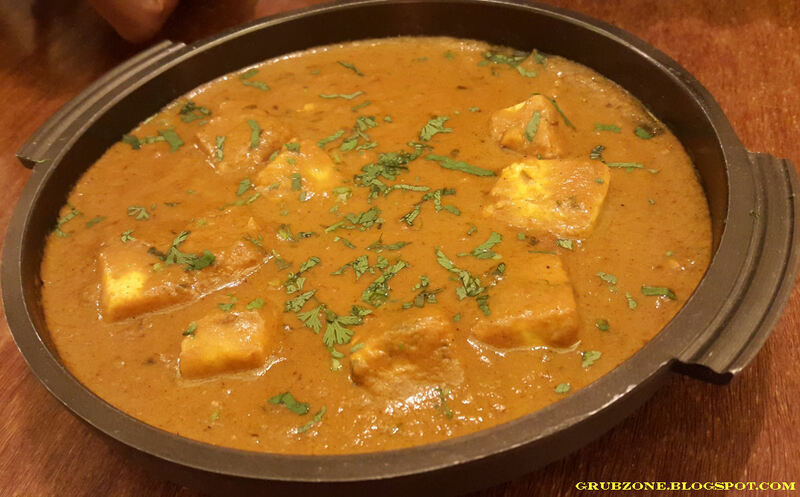 Multani Paneer was quite amazing. 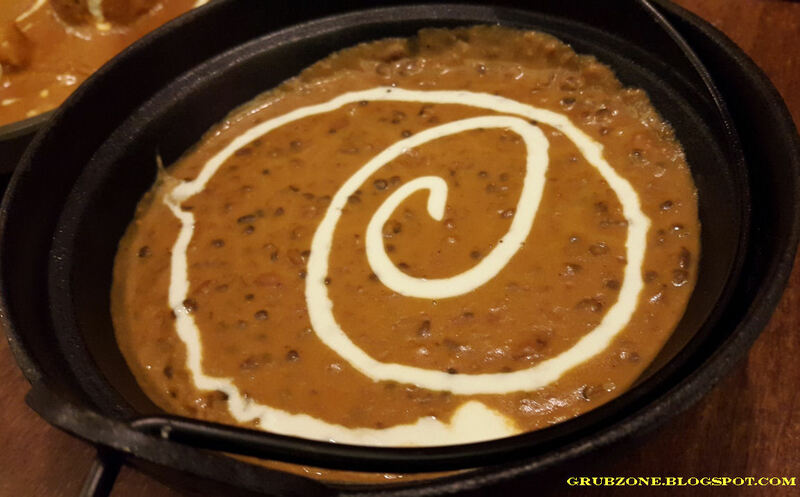 The Cottage cheese cubes had blended perfectly with the makhani(Buttery) curry and the dish was loaded with spices and minced dry fruits. The texture of the dish was soft and felt very easy on the palate. Panayaa Special Rice should have been served right at the start of the mains. The colorful autumn like texture complements the appetizing aroma that emanates from this preparation. 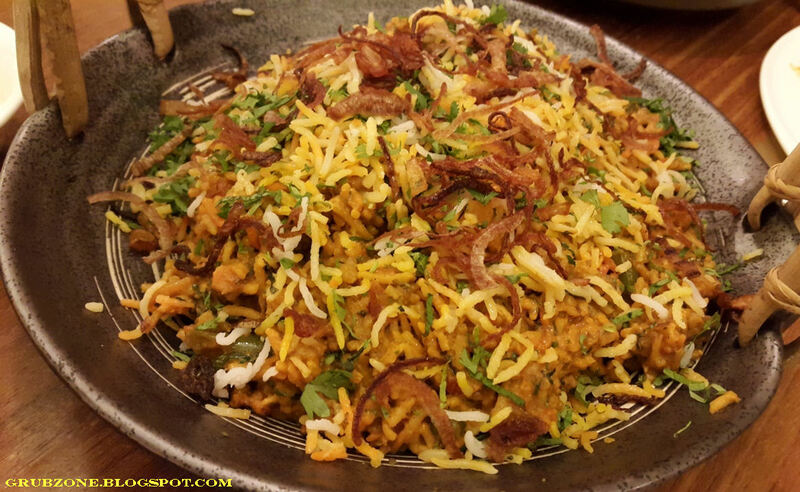 Each bite is full of aromatic rice infused with herbs and soft diced vegetables. 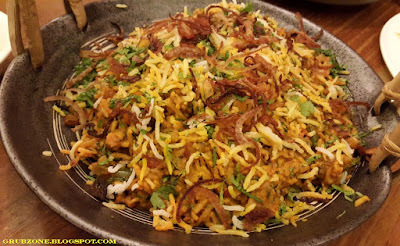 This comes pretty close to being a true vegetable Biryani and the exuberant flavor was the perfect savory and just the right salty. Captain : This Biryani shall sail with me on the seven seas. Crewmate : Biryani? I do not see meat cappy. Captain : This doesn't need meat. The most interesting part of the Panayaa experience was the dessert section. And this pleases me sweet tooth greatly. The Scrap mountain was made of random sweet bits spread over each other and then nitro-ed for extra measure. While the experience of seeing it made live was quite fascinating, this dish could not help being not mediocre. It tasted like a powdery snap frozen cluster of random ingredients. It felt very much like a rushed replacement for something better. Not something I would ever buy. Thankfully, the other desserts were ranks above this. Mohantal Cheesecake was an absolute darling. Mohantal is a famous gram flour sweet fudge usually made in the Indian Gujarat region. 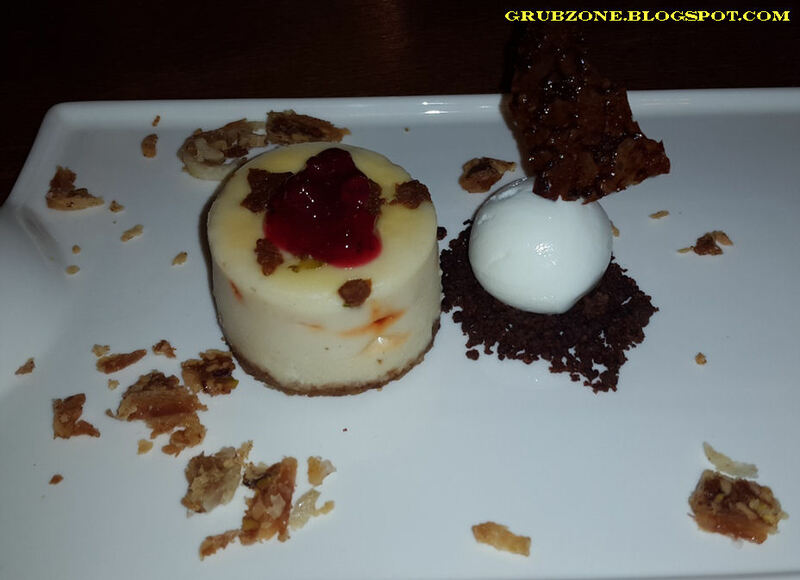 I have heard of cheesecakes being flavored with chocolate or fruits but never Mohantal. This was thus a unique dessert. The Indian Mohantal and a western cream cheese dessert seemed to be in perfect harmony. Not a note out of place. This was a genuine cheesecake with a rose like fragrant Indian flavor. This invention could be the next big thing, making the place a port of interest for Cheesecake tourists. Captain : Rose, fudge and Cheesecake. A trinity of flavors, an explosion of delight this be. Captain : I shall not stop till I devour this completely. Crewmate : HEY, I am eating too Cappy. Strawberry Dome was visually arresting. 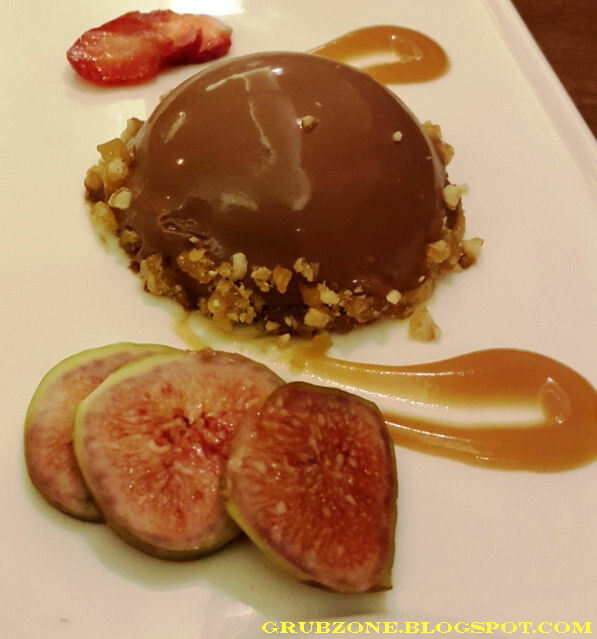 That shiny chocolate dome looked too good to eat but eat I must as I used my spoon to cleave a bit off the dome. Inside the dome was a soft strawberry creme. It tasted very much like a tangy candied strawberry mousse within. Coupled with the chocolate casing and butterscotch nuts, this was definitely one of the high points of the experience. 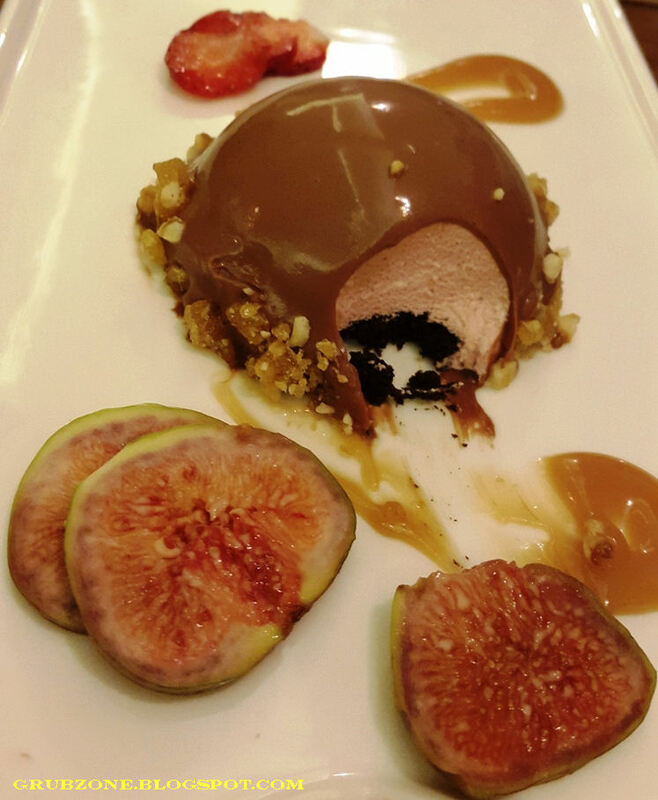 It was served with figs though they did not add anything to the taste and seemed to be present purely for aesthetics. Captain : Gahhhh, Celestial Strawberry Paradise inside the Chocolate dome. Crewmate : I worry. This is the first time Cappy has had two desserts that made him high. Captain : (Brief Reverie) I have found me treasure. Crewmate : Its just dessert, get over it old man. Captain : Haha the big Chocolate on that chair talks. Crewmate : Ok this is getting weird now. Since this was a pre-opening blogger's special preview, I was not made aware of the pricing hence I cannot comment on that. However, it is expected to be on the higher side given the size of the property and effort employed in molecular gastronomy. The service was professional with well groomed lads and an informed English speaking staff. To conclude, I'd say the appetizers were variable - some worked, some did not. Could be teething issues. The mains all worked save the Koftas which should have been spicier. The cheesecake and the Strawberry dome were definitely the stars of the show. True to its name Panayaa served a lavish modern Indian fare but whether it justifies the pricing, only time shall tell. "Oye Oye, Are ye lads gonna eat yer spoons too? Get on the sails ye filthy bilge rats. There are other marks to explore."